Steele Financial, Xero & Senta offer a perfect partnership to help reduce time and effort, remove unnecessary paperwork and access your accounts wherever and whenever you need them. Your accounts, quotes/invoices, purchase orders, reports etc are always available wherever and whenever you want on any smartphone, tablet or computer for any meetings and events. Xero allows you to produce invoices which can be viewed online and that which can be paid online using a credit/debit card which makes the whole payment process simpler for the customer. We can help integrate Xero with key parts of your business including online shops and project management systems to streamline multiple different aspects of your business. Using Xero is not just a means of getting your accounts online. 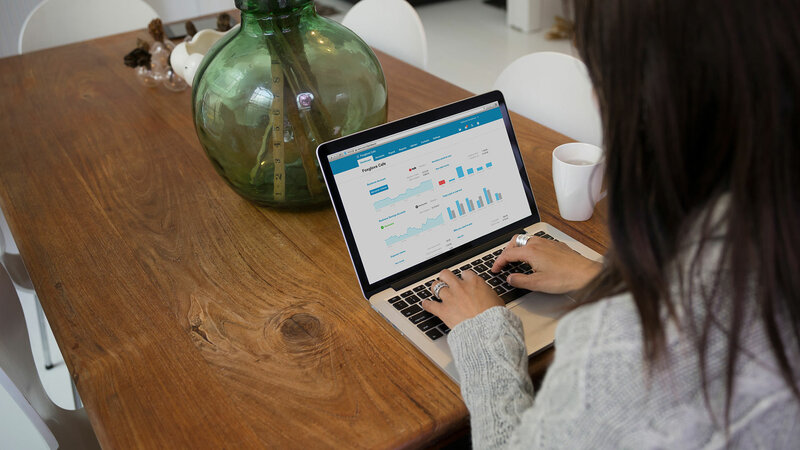 Xero also provides plenty of additional benefits and functionality to streamline your business. However, in order to realise these benefits, you need a skilled chartered accountant by your side. By using Xero, then as your virtual account, we can do your bookkeeping, payroll, VAT returns, annual company accounts and your tax returns virtually without needing to contact you or any of your staff which saves you both on travel costs and time. In addition, the functionality of Xero and our services can grow beyond accounting to improve efficiency in other areas of your business. Need invoices generated for you from any orders made in an online shop? Or do you need invoices generated based on the length of time an employee has worked? We can help you integrate Xero with different systems and apps so contact us today to see how we can help you. Whether your business is big or small, a start-up or established business, you will benefit from using our cloud accounting services no matter the circumstance so get in touch with us today! What can I expect from Xero? Create invoices and purchase orders. Bank feeds to reconcile transactions. Create expense claims which can be approved and paid. Scan receipts using the Xero Mobile app. View your accounts with a variety of different reports. Dashboard to monitor business performance. If you already use Xero, you just need to invite us to access your account. We can then just pick up where you left off. If you use other cloud accounting software, then let us know and we can either import your data over into Xero, or even work with you on your existing software. You’re all set up. Just let us know if you need any additional functionality such as payroll and we will set it up in Xero. Can I use my own Xero account? Yes you can. We just need to be able to access it which you can do by inviting an accountant within Xero. We can also take over the subscription payments so that you are just paying us both for Xero and our accountancy services. Do I have to use Xero to use your accountancy services? Not necessarily, but we definitely recommend it. We have vast experience of all of the different accounting software such as QuickBooks Sage etc., but we have ultimately decided that Xero is the best accounting software to use both for us and for our customers. Don’t fear though if you are using different accounting software and want to use our services. The transfer process to Xero is painless and easy and we will import your data to Xero for you. If you really do not want to use Xero, and wish to continue with your current software, speak with us and we are sure to be able to help you! Xero’s security policies are modelled on those used by the Banks. They use 128 bit SSL encryption, the same used for internet banking, and their servers are hosted on a tier-one hosting provider who monitors their servers and firewalls 24/7/365 at a guarded facility. They use an external organisation to continually audit their security by conducting penetrative testing, unannounced and deliberate attacks to measure their vulnerability to outside hackers. Data is stored on their secure servers and backed up regularly, so even if your computer is lost or stolen your data is safe. What programs and applications can Xero Integrate with? If the app you are looking for isn’t listed in the marketplace, then let us know what you are trying to achieve and we can help and advise.